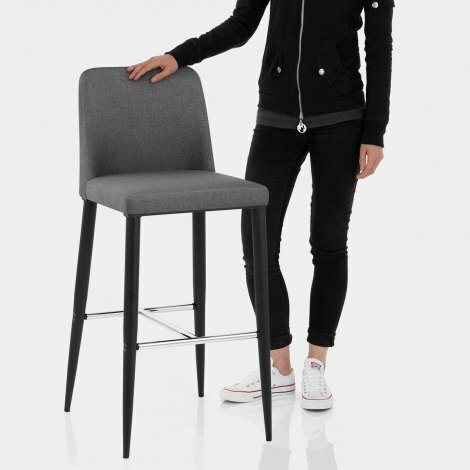 A contemporary twist on a classic fixed-height stool design, the Morgan Kitchen Stool Grey Fabric is the perfect way to instantly update your bar or kitchen. Practical and stunning, the Morgan is the perfect accompaniment to domestic bar tables, worktops and islands. 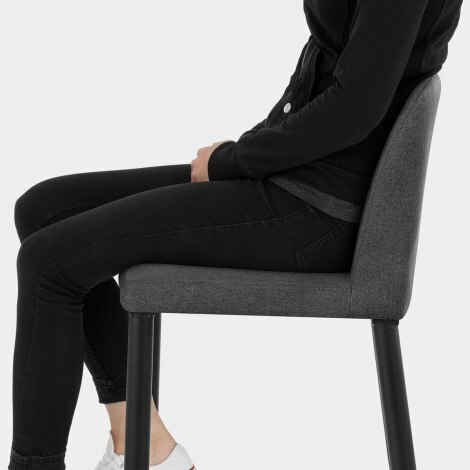 Upholstered in stylish grey fabric, the seat is well padded for a cushioned feeling, with a high curved backrest providing essential support. 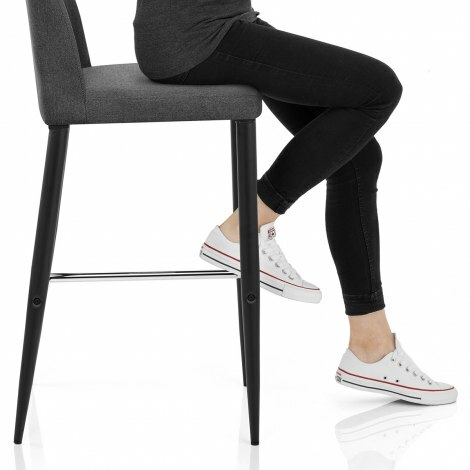 The fixed-height frame is formed of four tapered legs, slender but strong thanks to a H-shaped bracing bar footrest. Whilst each of the four legs boasts a black satin finish, the footrest makes for a striking contrast in polished chrome. Finally, it is complete with protective plugs helping to ensure that your floors remain scratch-free. "Easy to put together. Sturdy and comfortable"
Brilliant service, great quality would recommend. I’m very happy with the quality of the stool and the ease with which it was assembled. It is very comfortable to sit on too. These stools arrived in good time were easy to assemble and look good. They are nice and sturdy and comfortable to sit on. These chairs are wonderful, look stylish and are very comfortable. They are definitely in keeping with my new designer kitchen! I am so pleased with these chairs, they are an excellent match for my kitchen. Comfortable and sturdy. Well worth the money. Brilliant service.